In an age of over-marketing and excessive promotion, it can get pretty confusing as to what works and what doesn’t work. While social media seems like a sure thing for an enthusiastic dentist, the real value-area for getting new clients is on Google. Try to put yourself in the shoes of a potential patient. You sit down at your computer to search for a local dentist. Do you go to Facebook or Google? Google of course. Google is usually the first searched site for finding a dental practice. Potential clients may post on Facebook for advice from their friends on nearby dental practices, but our 21st century, research-based culture will almost always turn to Google as the authority on finding valuable information. Getting leads to your website from Google is done through SEO. SEO, or, “Search Engine Optimization,” is the technology of increasing a website’s ranking on Google so that the site is found higher-up in the search results. A better Google ranking means your site will be seen by more people. More people on your website means more patients in your dental office which in turn means more money in your pocket. An SEO “Best Practice” is that of web copy, the written words on your website. People use Google to search the internet for products and services. When building or improving your website, your SEO team will brainstorm and research what people will be searching for on Google in regards to dental services. An SEO team will work with you to write out every service you offer and a list of keywords that are associated with that service. They will compile simple terms that the layman who wouldn’t necessarily know dental terminology would use, like: “teeth whitening” “teeth cleaning” “tooth replacement” “chipped tooth” etc. Then they’d write another list of problems that your practice solves and keywords associated with that. They’d arrive at words and phrases like: “toothache” “throbbing” “tooth pain” “jaw hurts” “cavities” “cracked tooth” etc. 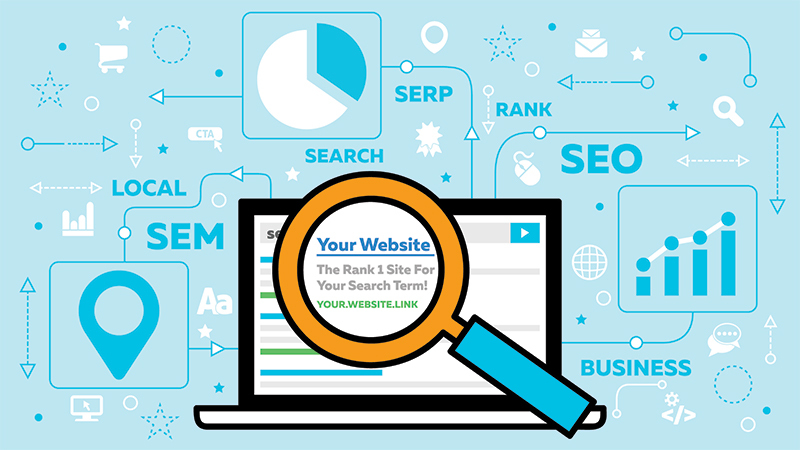 Now your SEO team will have the top-searched services, dental problems, and keywords. Those lists then need to be integrated into your site in the form of web copy. Web copy has authority on Google when it is unique, original, and helpful. Professional copywriters are able to integrate those key terms and highly-searched words, phrases, and buzzwords into readable and valuable articles. When web copy is posted on your site, such articles make your site valuable and relevant, increasing its ranking in Google. Do you feel like you are spending way too much money on marketing your dental practice? Are your marketing dollars not getting you the results that you want? Sign up with w3developing, where we have five years and thousands of hours of experience in the exact niche of dental practice SEO. We have built successful online strategies that are time-tested and proven. Finding effective marketing and creating a successful online presence that actually drives traffic to your dental practice is not a problem you can fix simply by throwing money at it. In our research and experience, we’ve learned the metrics that Google uses in ranking sites, how to implement those metrics properly to create a well-ranked site, and how to utilize effective SEO strategies (like web copy) to get your practice known. We know we can get you results. Our team is excited about our technology and process, and we’d love to speak with you about it. Contact us today to schedule a complimentary analysis and consultation, no obligation or fee required. To receive a no-strings, 100% complimentary evaluation, call 503-482-9321 or click here.